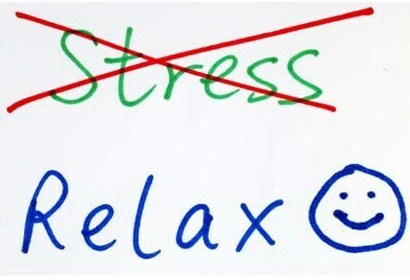 Home » Preschool Reading » How to reduce stress in studying? Let’s take a look ‘Stress’ itself. The increased mental demands on the child is often due to the materials being too hard to understand, or that they simply do not enjoy studying. The mental demands could, in fact, be reduced if the child’s ability has been increased to match the level required. In fact, if the materials is slightly difficult, but still challenging, the child will even enjoy the activity. This kind of activity is similar to the popular app, ‘Angry Birds’. It is designed as such: Slightly difficult, but achievable, so that your child (or you?) WANTS to keep trying until they can achieve 3 stars for each level. The struggle here therefore, is to match the child to a suitable level, where they can achieve this state. Each child starts at a different level, in terms of their language skills, but the idea is to level them up at a comfortable pace, so that they do not feel too stressed by this, and maybe even enjoy it. Learning language skills can also be in the form of parents reading to kids, or even with kids, if they are older. Why will the child be stressed hearing their own mum and dad tell them stories? Over time, they will grow to love reading and read on their own once they have the skills to discover the hidden treasures within books. As a general guideline, the best age to begin learning alphabets and practise their motor skills will be from the age of 1 to 3, alphabet writing and listening to stories from the age of 3 to 4 and then actual Sight Reading and Phonics from age 4 onwards. The exact determination of your child’s skill level can be done by someone with experience, or who are specially trained to do this assessment. Of course, there could be benefits as well if you started reading to your child from before they are born, but the benefits call for a whole other field of research all together. Hence, if they can start to increase their language skills comfortably from age 3, by the time they enter formal education, they will be way ahead of their peers who fully enjoyed their childhood without learning.